For those who haven’t seen it yet, an interview with Eden Ahbez from the early television program We the People was recently posted to YouTube. Though scripted, Ahbez’s words are effective, and seem to confirm what we know of his biography up to that point. In the clip, he also meets Nat “King” Cole for the very first time; Cole then plays a live version of “Nature Boy” with his trio, which he dedicates to Ahbez. 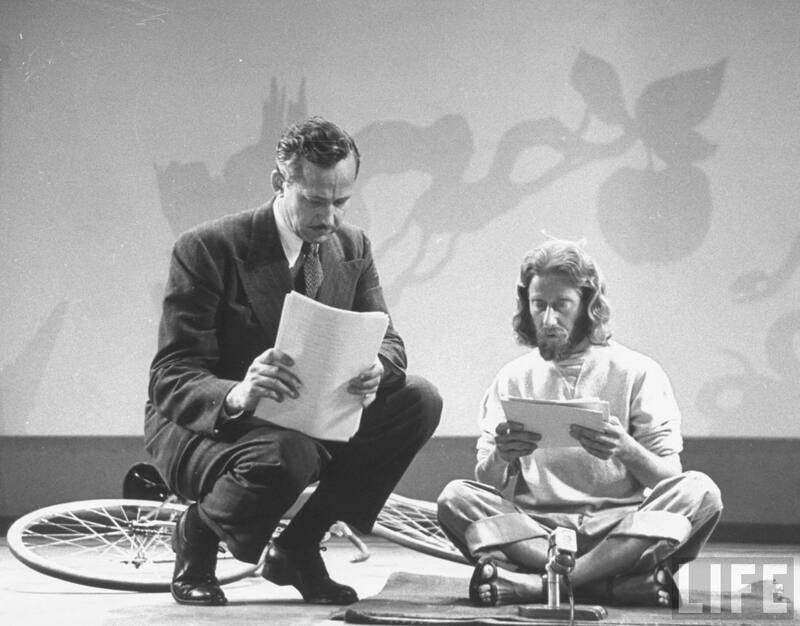 Ahbez being interviewed for the Gulf Oil TV program “We the People,” June 1948.